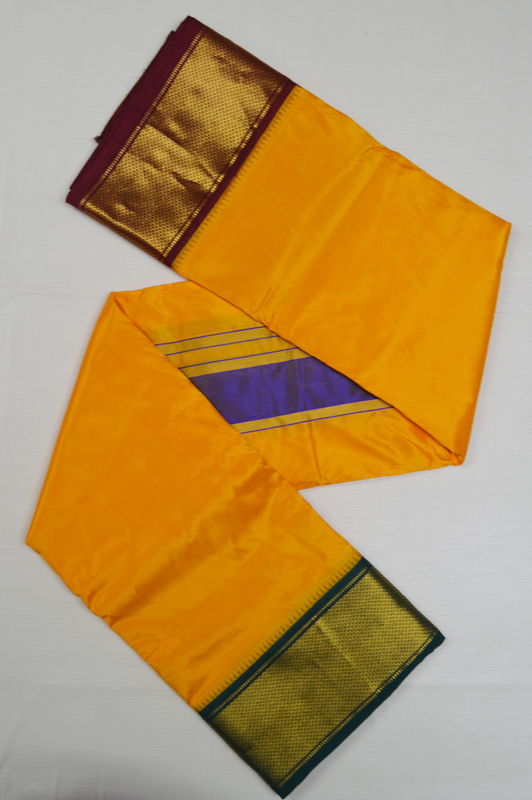 10 x 6 - Traditional Dhoti - 10 Muzham waist piece and 6 Muzham shoulder piece. 10 x 6 , 21 eyelet, 5" Ganga Jamuna border silk dhoti. This Dhoti is for Deity Alankaram. Body is in Yellow color. Top and bottom borders are in Red and Green color.